Do you live in or have you received a traffic ticket in the Toronto area? Our experts on traffic ticket defence in Toronto can help you protect your demerit points and fight your Careless Driving, Stunt Driving, Speeding Tickets, No Insurance, Red Light, Accident charges, or any other traffic ticket. Our team is highly competent and experienced, the services we provide are affordable (we will always consider matching competitor's price), and the initial consultation is always free. We're looking forward to meeting with you personally, but attendance at our office is not required; so, if you prefer, please feel free to contact us over the phone or by e-mail. An experienced traffic ticket Court Agent will walk you through the process from there. Ticket Defenders®* is proud to employ some of the most experienced staff in the traffic ticket defence industry. With a former Senior Provincial Prosecutor having trained our traffic ticket agents, our courtroom reputation exceeds expectations. Whether it is a Speeding Ticket, Careless Driving Charge, Stunt Driving Ticket or any other traffic offence, the first goal of our Court Agents at Ticket Defenders®* is to explore every possible option in an effort to have your charge withdrawn entirely; And, although we certainly cannot promise or guarantee this outcome (nobody can! - be weary of outlandish claims regarding 'guarantees'), we can promise that if there is any way to make your charge 'disappear', we will find it. 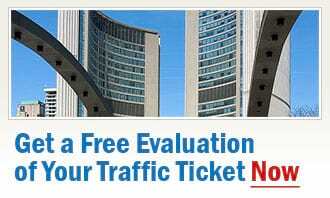 Don't pay your traffic tickets from Toronto if you don't have to. Don't accumulate demerit points. Protect your insurance rates. Contact our experts on traffic ticket defence in Toronto today for a free, no-obligation traffic ticket consultation of your case and get advice from a professional. We can help you save demerit points and protect your low insurance premiums.